Cool ball earrings. Easy to wear everyday. Made from sterling silver here in Australia, Great little everyday wear earrings. 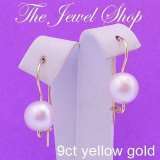 The pearls are genuine natural white freshwater pearls and are 9mm near round in size.The earrings are a beautiful 9ct yellow gold pearl euroball hook design. These lovely birthstone stud earrings would be an adorable gift to celebrate any birthday.Metal – Sterling Silver.Size – 4mm diameter.Design – bezel set stud earring. Rom The Twilight Saga. Breaking Dawn Part 1. Summit Entertainment. High Quality From Neca. Accessorize With Supernatural Style!. Features Charms Themed To The Team Erhard. Show Off Your Love Of The Twilight Saga! Authentic Chanel gold tone earrings. CHANEL 94 CC P Made in France engraved on the back. They look truly wonderful and have easy and secure clip to put them on!�. Authentic vintage Chanel gold tone earrings. CHANEL 96 CC P Made in France is engraved on the back. They look truly wonderful and have easy and secure clip to put them on! Fun circle design diamond drop earrings in 9 ct two tone gold. Gemstone: 6 x diamond J colour P2 clarity 0.005 carat. Material: 1.5 x grams solid 9ct yellow gold. 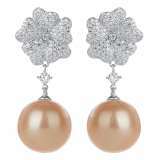 Type: diamond gold circle drop earrings. .02ct illusion set diamond stud earrings. Gemstone: 2 x diamond G colour PK1 clarity round cut .01 carat. Material: 0.4 x grams solid 9ct yellow gold. 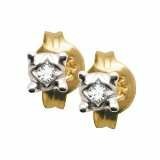 Type: diamond gold stud earrings.